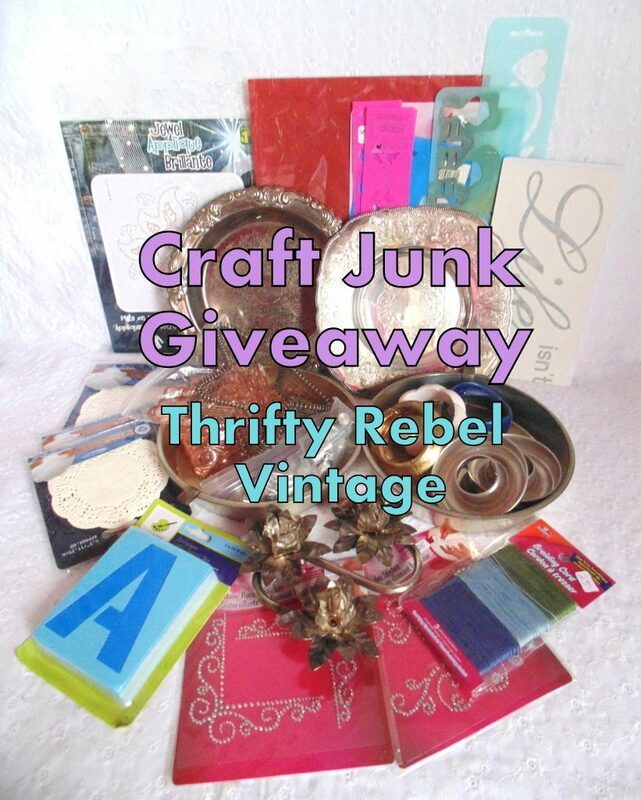 It’s time for another Craft Junk Giveaway! I love these giveaways. 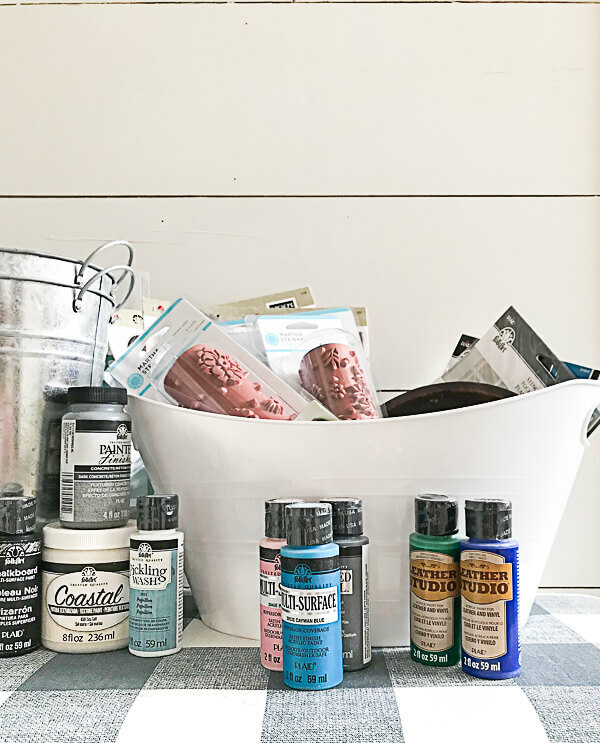 I get to get rid of excess “stuff” that I’ll never have time to use and one of you gets some craft supplies that you will use. I’d call that a win-win! When you’re pennant banner is to the desired length, cut the twine. This is the same method that I used to make smaller banners for scrapbook pages as seen here. There are some other fun items in the box. Including a sampler pack of Cricut vinyl. There are six 12″ x 12″ sheets of brightly colored removable vinyl perfect for home decor, signs, laptops, cell phones, and lots more. This article may give you some ideas for your front door. Have you tried using vinyl using the PVPP method? And here’s an idea for vinyl word art. If you win, I’d love to see how you use the vinyl! Ready to enter? There are lots of ways to get multiple entries. Please subscribe to my blog, that will get you the most bang for your raffle buck! Now, let’s see what my friends are giving away- head over to each blog to enter for their giveaway! I am one that loves all things crafts. This is a sweet package. Thanks for this opportunity. I love making my own cards for family and friends. I love crafting and the challenge of trying new crafts. Thanks for the giveaway! New here and love it! I like to paint furniture to give it a fresh new look. I like crafting just about anything,right now I like using my new Silhouette Cameo 3 to make wood signs. Love the giveaway, thank you for the opportunity to enter. I like upcycling vintage jewelry boxes. I’ll paint on anything that holds still! Thanks for the great give-away! Love love love. Oh the possibilities. Fantastic giveaway. Glad to have discovered your blog. Perfect, I need to make a sign with house numbers on it for the front of my home. 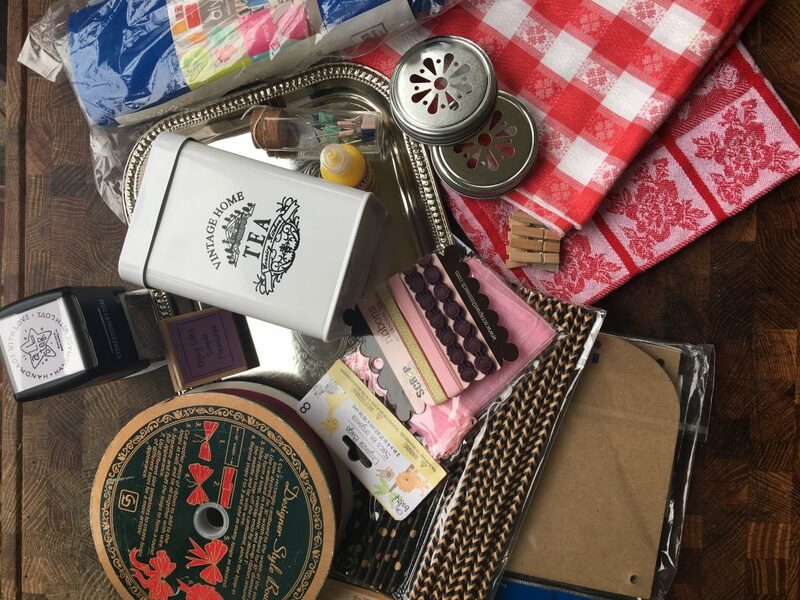 I love seeing what all you creative people put in your giveaway boxes. I love to create decor for my home & make gifts for my family & friends. I love making home decor pieces! Especially wall hangings! Thanks for the chance to win your cool prize box! I like to making greeting cards. I like making dollar store crafts and centerpieces. What a fun giveaway! I found you by clicking over from Christy’s blog and am having fun exploring your blog! I like to give old furniture new life, and also mess around with papercraft. I love to repurpose anything but most especially anything’s gardening! Thanks for a great blog. I would love to win ! Looks like a nice variety. Thanks for the giveaway. Hi and thanks for the giveaway! I couldn’t sign up to follow you on Instagram because for some reason when I clicked on your link it wouldn’t take me to your Instagram page. Could be my ancient computer but I haven’t had that happen when I click to go to other Instagram pages. I’ll try again tomorrow, though. I like to knit and sew the most but really enjoy painting and home decor crafts a lot. I love making things to decorate: pillows, signs, refinishing furniture. Thanks for your fantastic give away. I’m up for pretty much any DIY crafty project! I like doing it all! I love making anything and everything. Love going to thrift stores and finding treasures! I like to make cards but then anything else with bling! I love your blog name!! THanks for the giveaway chance! I love to make doll crafts for children. Thanks for the chance to win! These give-aways are so much fun! I enjoy making wood burning projects, mostly as gifts & I love making anything my 6 year old & I can dream up!!! I just discovered you and am looking forward to exploring your blog! I love crafting all sorts of things and knitting afghans and scarves. I like to try everything! I love paper crafts, painting, sewing, repurposing/refinishing furniture and any thrift finds, and my oldest passion is miniatures-making them with whatever sparks my imagination and looks the most real. 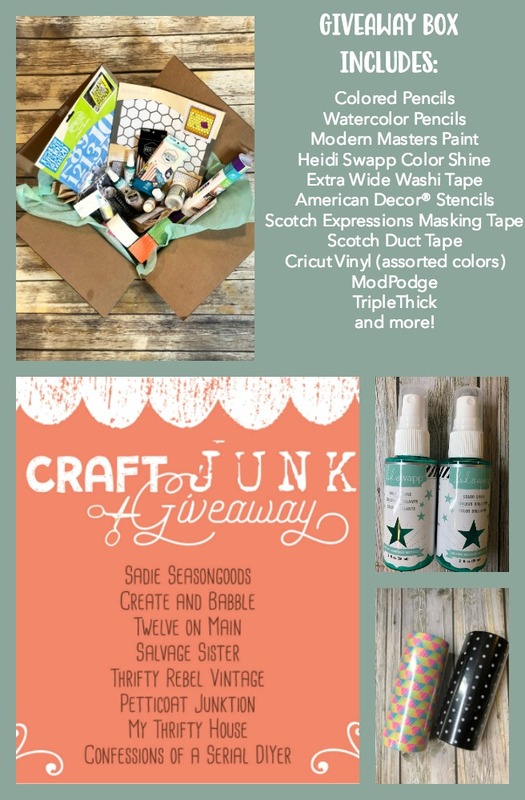 I love crafting and I love give aways!! I like to make wreaths and try new things. Just got into macrame, and baskets out of rope. Just bought some decorative gourds for crafting too. 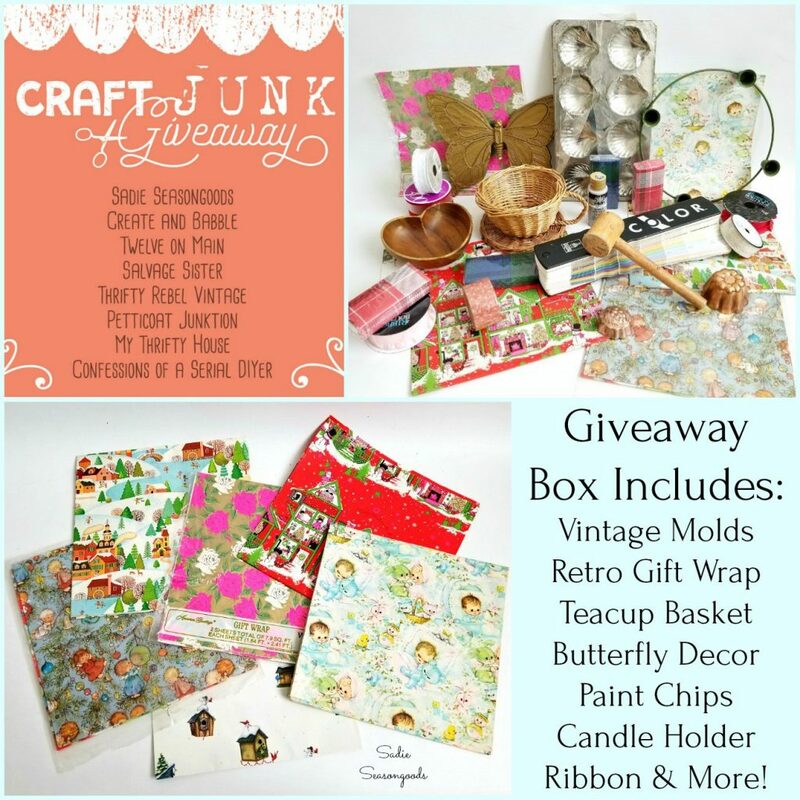 Thank you for offering so many great goodies in the craft box giveaway!! I love to sew and make stained glass suncatchers. I just completed a little dollhouse and camper! So much fun! Probably my very favorite thing to do is to remake lamps and shades with paint and trim. I actually love painting and distressing just about anything. I also love beading and using buttons. I have made 4 jeweled Christmas trees and am collecting lace and fabric to make a couple of shabby chic Christmas trees. 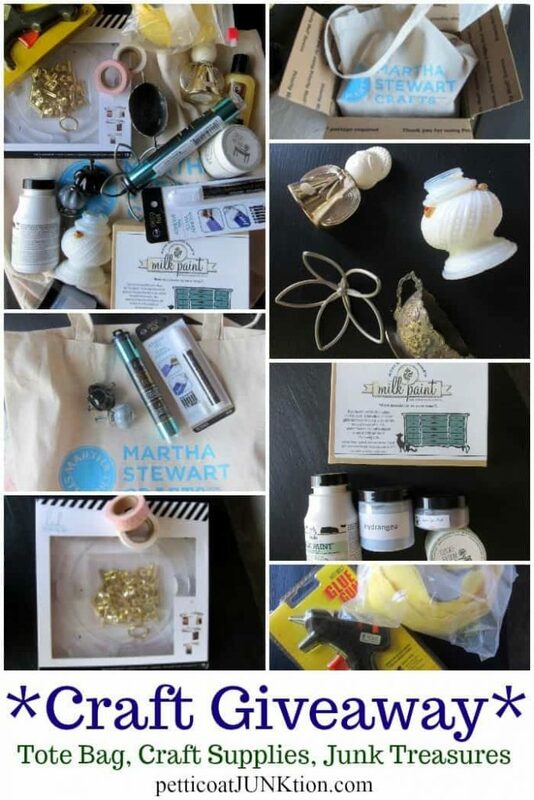 Thanks for giving us an opportunity to win some crafting goodies. Right now, my favorite is knitting, because I can stop at any point, but there’s not a craft form I don’t want to dabble in or try! I love rescuing furniture from the curb and giving it new life with fresh paint or stain. So many fun things to play with! How kind of you give away some of your stash! Thank you so much! My friend and I are craft addicts! Would love to win this fun selection! I love woodworking, refinishing/remodeling furniture, sewing… making just about anything. Thanks for this giveaway! Nice selection!! I love all crafts from crochet and sewing to scrapbooking! 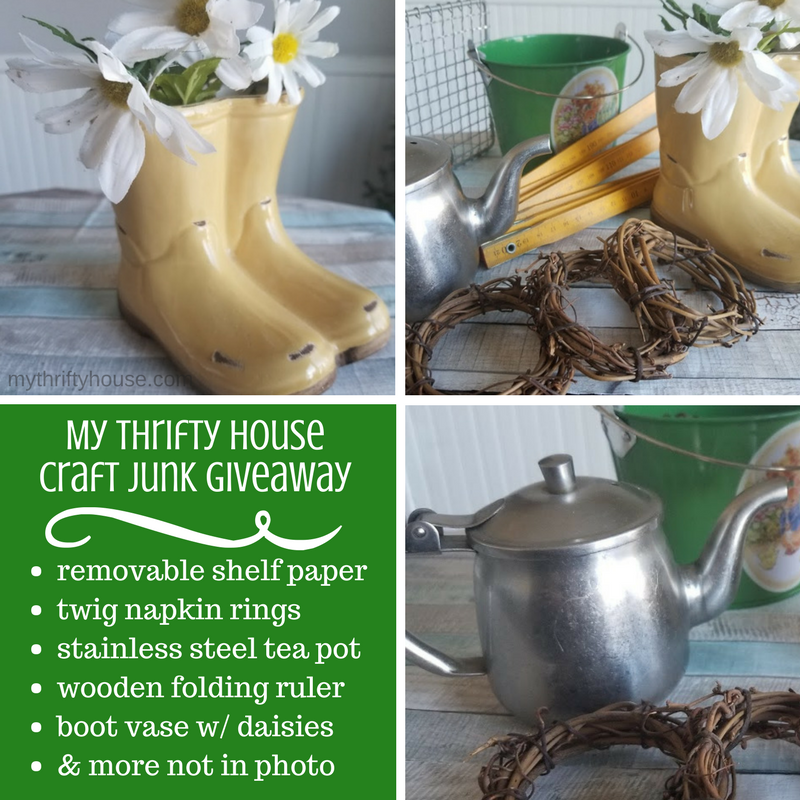 My favorite crafts are upcycling junk into something pretty! Thanks for hosting this great giveaway = so much fun! My favorite things to make are with fabric and thread! I do love sewing and quilting, but get sidetracked easily with drawing, painting, card-making and crochet. I like to paint, decopage, and whatever else looks like fun and look forward to a box of craft junk. Thank you for the giveaway opportunity. I forgot to tell y’all what I like to do. Painting, making stuff, and working with wood are my favorites 😁. Thanks for the fun giveaway! I am a crafting junkie! I love to make bibs and blankets for a crisis pregnancy center! 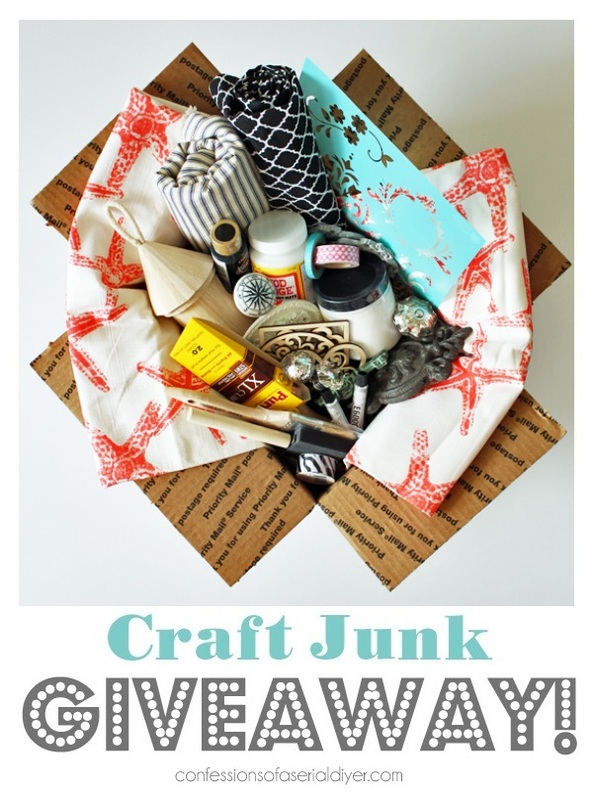 I love everything crafting, repurposing and recycling! I like doing crafts that my grandkids can do with me. We love to makes cards and scrapbooks too among other crafts we like to do. I love to make ANY thing!! Crafts w/ pots, paper, sewing. I also love to paint things to suit MY decor. I have a great big Girl Scout troop and we love to make things! I like to make greeting cards for all occasions. I love redoing furniture, not that good yet. Painting is a passion of mine. Christmas decorations are what I paint the most. I love trying everything but my favorite is jewelry. I can incorporate any type of craft I want to try into my jewelry making. I enjoy home remodeling, card making, and general arts & crafts! I love to make cards, jewelry, and do pieces of mixed media art. Thanks for the chance to win some goodies! I have never met a craft item I could not find a use for. I love DIY, crafting and creating for myself and stretching the imagination of the kiddos. I like to paint rooks and make fairy gardens. Amazing Post on home decorative items & interior designing specially crafted bedroom amusing cute chairs and other interior designers in USA which are in huge demand as these are man made and solid wood structure by Craftsman. People really impressed how to make over interiors of bedroom and other items for dining room. This post is simply executed to understand everything in normal ways. Thanks for writing such a good Article on home decoration and interior decorators. Really impressed with your ways of article writing with this depth. These Home Furniture specially carved wooden furniture for bedroom, dining room, kitchen, leaving room and first need for an interior decoration and home decoration. For home decoration it is always in demand and people enjoy the items with style.